Financial services conglomerate Edelweiss Group has inked a long-term partnership with India Olympic Association (IOA) towards sponsorship of the Indian contingent for all games, including Commonwealth Games 2018, Asian Games 2018, the Tokyo Olympic Games 2020 and the National Games 2019 & 2020. The 21st Commonwealth Games, being held at Gold Coast Australia, will see a total of 71 nations participating in 275 events in 19 sports. The 225-strong Indian contingent sponsored by Edelweiss will be participating in 17 sports. Edelweiss has launched a campaign saluting the #BeUnlimited spirit of our athletes, aimed at garnering support for Team India. The Be Unlimited campaign comprises four films that are tributes to those champions, who are undeterred by obstacles and are limitless in mind and spirit. The films feature Saina Nehwal (Badminton), Dipa Karmakar (Gymnastics), Mandeep Jangra (Boxing), Heena Sidhu (Shooting), Rani Rampal (Hockey) and Manpreet Singh (Hockey). A 360-degree campaign, it will run across print, digital, activations and outdoor media on 54+ TV channels, 250+ PVR cinemas across 3+ weeks. “Our campaign pays homage to Team India, invites good wishes from cheering fans and aims to popularize all sports as we continue to pitch for India truly becoming a formidable sporting nation!’, Panjwani added. Edelweiss said it understands that the dearth of public resources hampers the nation’s performance in the global sporting arena. There is a strong need for the corporate world to support sportspersons across sporting disciplines and make sports a way of life. Explaining the campaign further Kapil Mishra, Executive Vice President, Contract Advertising, said, “Limits exist only in the mind. Once transcended, there is nothing that humans cannot achieve. Edelweiss believes in being unlimited in every aspect. The fit is natural, the ground common. The campaign thought of ‘Koi bhi limit, limit nahi hoti’ flows naturally. Our stars like Saina, Dipa, Manpreet and Mandeep exemplify the #BeUnlimited belief”. 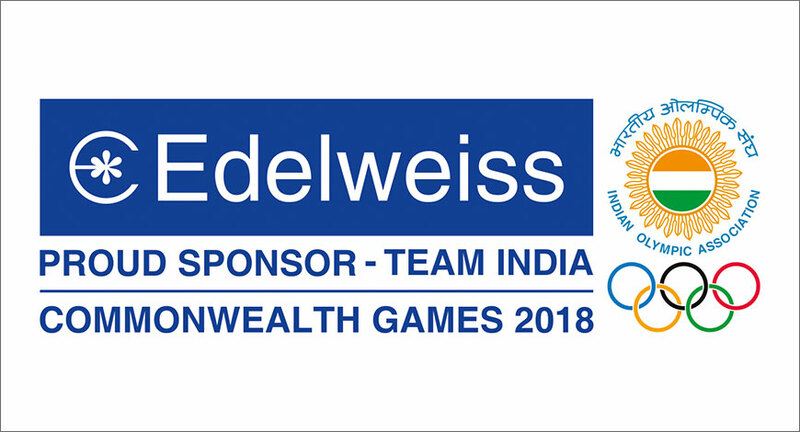 In addition to the sponsorship, Edelweiss Tokio Life Insurance, the life insurance arm of Edelweiss Group, has offered a life Insurance cover of Rs 50 lakh each for the athletes representing India at the 2018 Commonwealth Games.